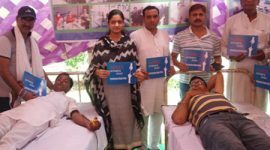 With the divine blessings of Her Holiness Satguru Mata Sudiksha Ji Maharaj, Sant Nirankari Charitable Foundation (SNCF) organized a Blood Donation Camp at Itarsi on 15th July, 2018 where 117 Units of Blood was donated. The camp was inaugurated by Rev. Vintika Juneja Ji w/o Rev Ashok Juneja Ji Zonal Incharge, Bhopal. 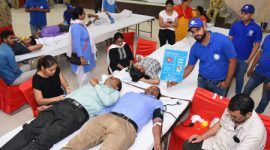 She reminded the people that SNCF is the largest voluntary blood donating organization and till date 9.85 lakhs of blood units have been donated by the SNCF. Every single blood unit donated saves a number of lives, therefore, each one of us should donate blood, she inspired. 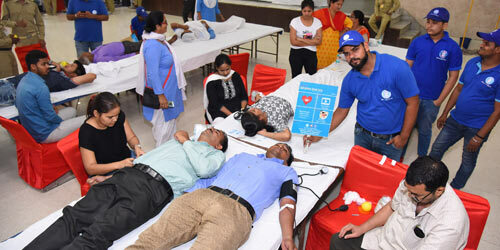 A lot of enthusiasm was observed in the donors. 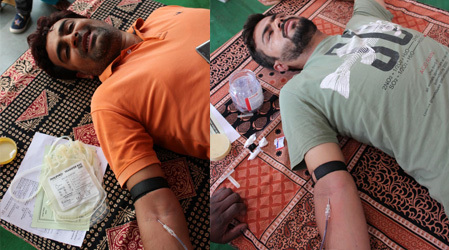 The Blood Collecting Team came from Hamidia Government Hospital, Bhopal. 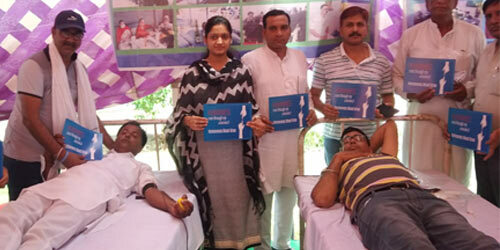 The donors came from Hosangabad and Itarsi areas. At the end Rev Sarvendra Singh Ji thanked all the donors, guests and others for their marvellous support. The camp was well managed by SNCF Volunteers and Sewadal.